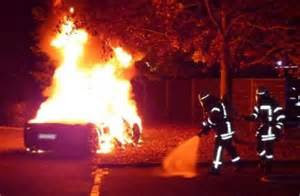 A 20-year-old Swiss millionaire's son paid 3 guys $15,000 to 'steal' and burn out his Ferarri 458 Italia, according to court documents. 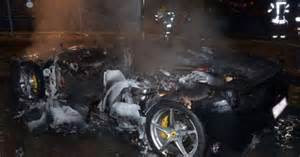 The reason he wanted the $245,000 supercar destroyed? So he could get an upgrade, a court was told. Honestly. T he car was one of 15 - including a Lamborghini - which the 20-year-old's rich father had bought for him. Despite this, he still wanted an upgraded Ferrari. So while he visited a massage parlour -the friends stole the supercar but security camera quickly picked up those responsible for the theft who cinfested to the conspiration. The 20-year-old told the court his funds had run dry by the time of the incident and was not brave enough to tell his father he did not like the Ferrari.He was sentenced to 22 months' probation and fined some £20,000.